Brexit, Brexit Brexit. It’s the core piece of news on all our local South West news sites, especially as last night we heard that parliament rejected Teresa May’s deal by 230 votes. The uncertainty for businesses in the South West is rising. 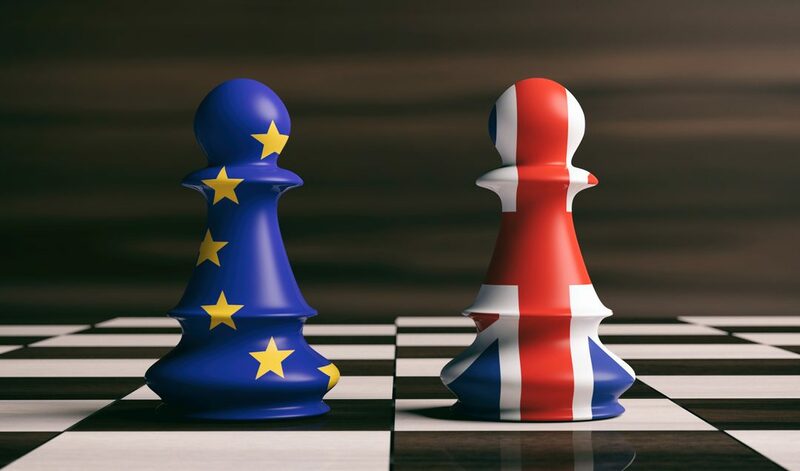 Bristol Live are quoted, following a recent survey conducted: “Many companies in the South West have been forced to put plans on hold amid the political maelstrom surrounding the UK’s EU withdrawal”. The aim of this blog is to provide an outline of where we are now, outline employment law implications and provide some guidance on keeping your employees morale up, despite the uncertain, risk adverse market businesses may be operating in. Since the result was announced, negotiations have been taking place between the UK and EU. Setting out exactly how the UK leaves – this deal is named the Withdrawal Agreement. Borders: how to avoid the return of a physical border between NI and ROI. The withdrawal agreement was due to be completed on 29 March 2019. 27 countries in the EU have agreed to the withdrawal agreement, but the UK Parliament has now on 15th January 2019 voted against it. Jeremy Corbyn has now tabled a vote of no confidence in the government which could trigger a general election. A no-deal potentially means on 29th March 2019 the EU regulations and law will no longer be applied, instantly – there will be no transition period. Anthony Poeton, chairman of Gloucester based engineering company Poeton Industries spoke to South West Business, stating the impact a ‘no-deal’ could have: “it will seriously harm supply chains, create even more long-term uncertainty and damage some the UK’s most successful industries”. Phil Smith, Managing Director at Business West also said: “A no deal Brexit would be tremendously damaging for businesses in the region and threaten the viability of many exporting firms”. Even though there is a large amount of uncertainty, at present there are no immediate answers available and business continues as usual. For some industries and small South West businesses there may actually be opportunities to prosper and grow during this time. From spring 2019 to the end of 2020, a pilot visa scheme for non-EU farm workers is being rolled out, to avoid the risk that Brexit will lead to an agricultural labour shortage. Under this scheme, up to 2500 non-EU employees will be entitled to a 6 month visa each year. EU citizens resident in the UK can apply for “settled status” protecting their employment and residence status. The cost is £65. Some employers with a large number of EU staff in the UK have offered to pay this on behalf of employees. You may want to consider this if you have EU staff. Irish citizens in the UK are ok because their employment and residence status is based on rules from well before Ireland and the UK joined the EU in 1973. In the short-term Employment Legislation is likely to remain stable. We will ensure we inform all our clients of any employment law changes that will impact your business, as soon as we hear of them. Honesty – being honest with employees, it’s ok to not know where the business will be in 5 years’ time. But be open and where possible communicate to your employees that at present there isn’t any change and provide reassurance that it’s business as usual. Positivity – look for the opportunities that may be available to you and your teams. Asking all to invest in a positive and creative thinking. Lead by example and where possible, adopt a positive and confident manner. Teamwork – working together as best you can. With budgets perhaps being pulled, try and consider more creative ways to promote teamworking opportunities – attending a local pub quiz together? Ordering a pizza takeaway in the office? As always, we’d love to hear your thoughts, comments and how Brexit is impacting your business in the South West. Please do get in touch with us directly: CitrusHR Consulting, call us on 0844 854 6704 or email us at: info@citrushrconsulting.com.